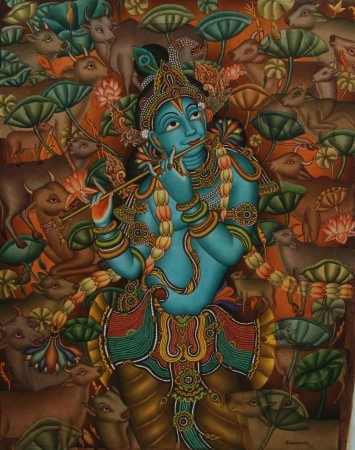 Born in 1965, Sadaanandan is an MFA in Painting and has a National Diploma in Mural Painting in the Gurukula system (1989-94 batch) from KGTE, approved by the Govt. of Kerala. For a painter, entrenched in the Indian tradition, it is remarkable that Sadaanandan has so assiduously modernized this genre of painting and brought it to mainstream urban Indian art. The appreciation of his works is a testament not only of his achievement but also of the inherent love for the Indianness of Indian art by the connoisseurs of contemporary art both within India and abroad. The exquisite yet subtle colour palettehe uses in all his works be they the Hanuman, the Apsara or the nature series, imparts an ethereal glow to all his paintings and takes the viewer through a visual experience of the sublime, as if one is meditating before the painting with closed eyes. 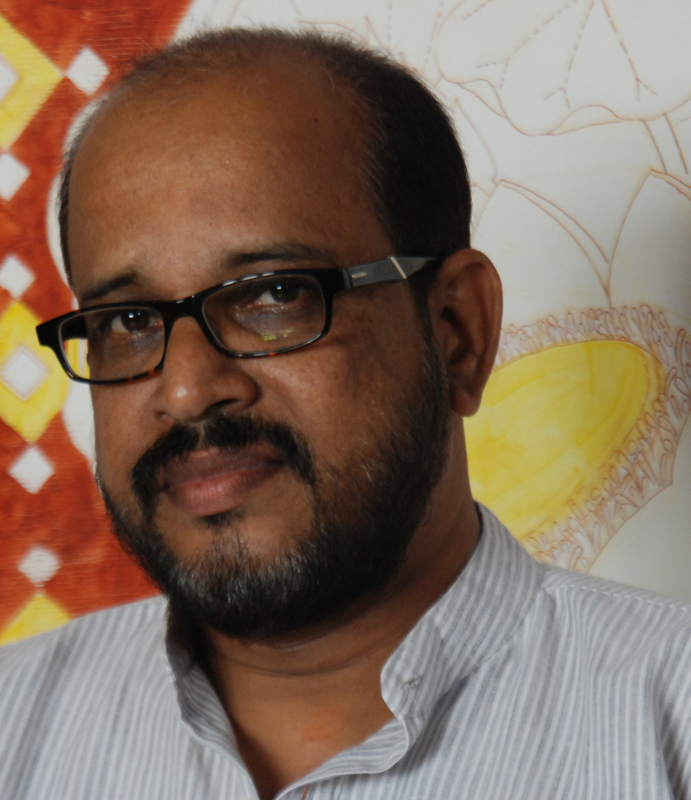 Sadaanandan has over 30 solo and group shows to his credit. . 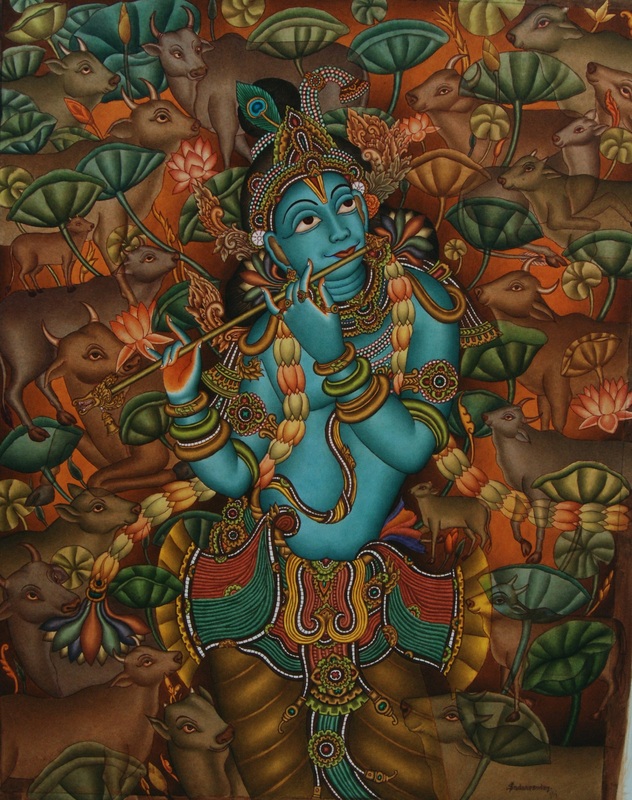 He has been exhibiting regularly with Cymroza gallery, Jehangir Art gallery, Mumbai; Gallery Ganesha and the Visual Arts gallery, New Delhi, in Chennai and Trivandrum. 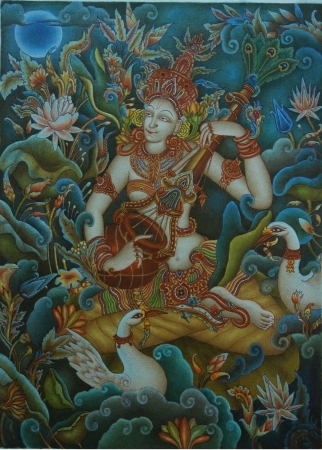 He also exhibited in the India Art Summit in 2008. He has been commissioned to do several largescale projects for public and private spaces including those for Bose Krishnamachari and Abuj Jani- Sandeep Khosla and Rajiv Sethi designs. 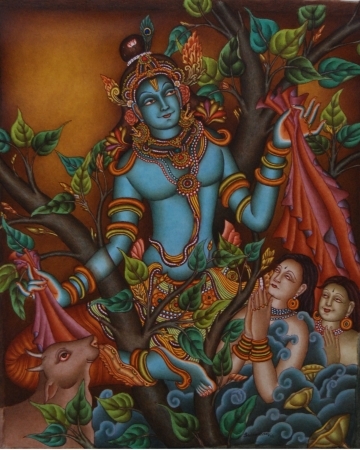 The artist lives and works in Trissur, Kerala.